All Kip Henley ever wanted was to be a tour player. His obsession began at age 5 when his mother, who worked folding boxes at the Arnold Palmer company in Chattanooga, provided her young son with a cut-off set of Arnold Palmer signature clubs. Kip gave up his amateur status in 1982, trying tour school. No one tried harder and got less out of it than ol’ Kipper,” he said. “I paid a fortune in Q-School fees for probably 12 years.” After running out of funds, he turned to the life of a club pro and became a Class A PGA professional. He has maintained his Class A standing with the PGA of America for years. Over the past 5 years, he made the transition to caddying for Tour Pro Brian Gay (that’s Kip in the white jumpsuit with Brian at the Masters) . In fact, Kip picked up $100,000 a couple of years ago when Gay won the FedEx/St. Jude Classic in Memphis. 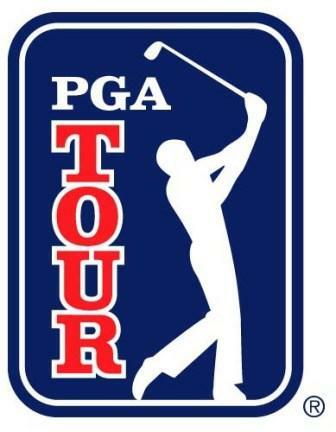 Over the weekend we expanded our You vs. the Pros report, so that now your can choose from all of the top ranked golfers from the PGA and LPGA tours and view their stats from 2009. Welcome! As we continue to explore new and better methods to communicate with you, the members of the MyScorecard community, our latest effort is the online handicap blog. The goal of the blog is move from the one-way publishing model of our articles and newsletters to a more interactive method of communication. Feature Updates: We are continually updating the site, both on the front and back end. In the past we would err on the side of conservatism and avoid sending you emails about small updates and minor features. Now we will post these to the blog so you can be aware of (and take advantage of) the latest and greatest improvements to the site. Facts & Figures: A byproduct of our membership is the large amount of information that we gather about handicaps. Many of you realize this and send us questions: What is the average handicap? What is the hardest golf course in America? How much do average temperatures impact your scores? We can now share these answers with everyone and will post short, interesting updates to the blog. On the Course with Dan Gonzalez: Dan is an amateur golfer and golf writer, who will be sharing stories from on the course. Though he has a handicap index of 2.6, we believe golfers of all skill levels – from beginners to professionals – will identify with his stories. For those of you less familiar with blogs, new posts will appear at the top of the page. You can filter the posts by category/topic using the navigational links on the right. You are welcome to add your own thoughts and comments to each blog post using the Comment links below. And if you really enjoy what you’re reading, you can subscribe to the blog by clicking on the orange RSS icon in the lower left corner of the page. As always, if you have suggestions for improving the blog, don’t hesitate to let us know – either in your blog feedback or by sending us an email.